and is now a protected historic monument that is enjoying a new lease of life. 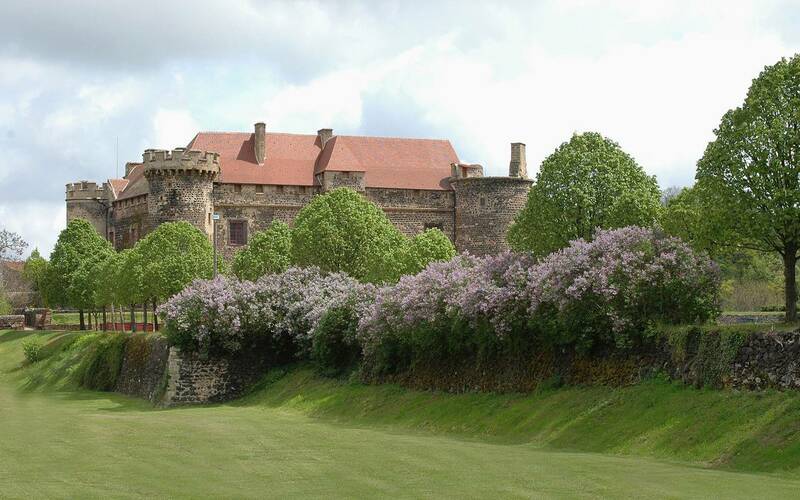 This fortified castle, with its corps de logis, was built in the 13th century by the La Tour d'Auvergne family. The successive extensions and embellishments and the creation of the gardens in the 16th and 17th centuries have made it into the imposing and elegant stately dwelling that it is today. 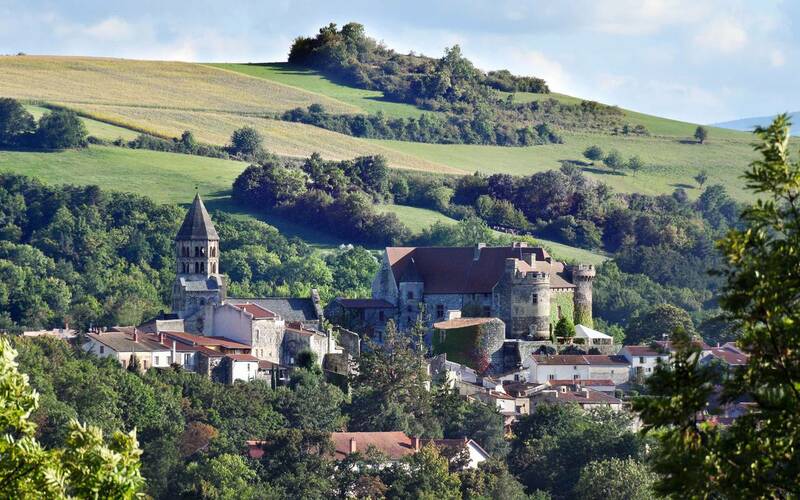 It looks out over the village of Saint Saturnin, its Romanesque church and a remarkable, preserved landscape. The difficulties suffered after the French Revolution, the lack of maintenance, and then the abandonment of the château from 1970 to 1987 made it necessary to carry out major cleaning, refurbishment and restoration work. The new owners have taken on this task with the financial support of regional institutions. The château has been occupied by its current owners since 2007. Our activities enable us to finance the maintenance of the buildings and gardens. However, the restoration work requires specific funding which is provided by the owners, grants and sponsorship. Built during the first half of the 13th century by the La Tour d'Auvergne family, it became its stronghold in 1281. It reflects the military architecture of the Middle Ages with its dominant position, dry moat, ramparts and wall-walk, towers with battlements and machicolations, triple enclosure and central building. It was extended and embellished under the influence of the Renaissance. The sheer size of the buildings makes for an imposing main courtyard, yet it remains elegant thanks to its architectural detail. Huge windows were added to the outer rampart in the 16th century, and the subsequent dismantling of the fortifications that protected the entrance to the château eventually opened up the main courtyard to offer a view of the village's Romanesque church. It has been classified as a historic monument since 1889, but it was not until 1987, after nearly two centuries of neglect and seventeen years of abandonment, that major restoration work began. This work is carried out with the financial support of the French State, through the DRAC (French Regional Directorate for Cultural Affairs), the Regional Council and the General Council. First of all, the most urgent work was tackled: the timberwork and the roofs of the buildings added in the 15th century, followed by some of the flooring, ceilings and chimneys which were in danger of falling into ruin and, more recently when the guestrooms were being fitted out and the bathrooms created, the rooms in the towers, which were restored with original materials such as "tomette" terracotta tiles or ladder parquet flooring, lime-rendered walls, whitewashed oak ceilings, etc.